Improving curb appeal and updating the exterior of your home starts with the landscape around your house and property. But sometimes it's hard to find the inspiration and motivation to change your landscaping. We've got some amazing DIY landscape ideas for you! 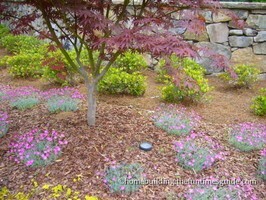 Here you'll find simple tips for planting, shaping & pruning trees, shrubs, and flowers. Plus a slew of other unique landscape ideas that will minimize the maintenance and bolster the appearance of your property -- all without breaking the bank! If you’re about to sell your home you’ll need to check this list of critical exterior and landscaping bullet points to bring your curb appeal up to snuff. Spending some time checking of these items will boost your ability to sell quickly and for a higher price.